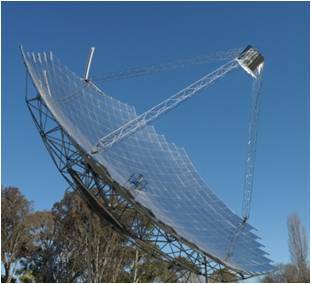 Sunrise CSP's core technology focus is the Big Dish and its complementary technologies and systems shown below. 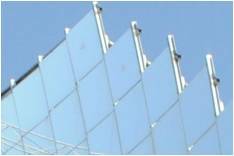 These technologies can be deployed in stand-alone or grid-integrated solar power projects, with or without storage, or hybridised with gas, oil or other fuels to deliver dispatchable power generation and industrial process heat systems. 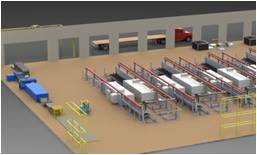 An onsite manufacturing system delivering rapid and cost effective solar field deployment. The FiF delivers high local manufacturing and supply opportunities for the solar field (60%+). 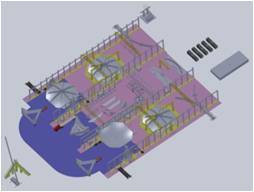 World's highest efficiency commercial CSP system. High accuracy and robust space frame design. Designed for low cost mass manufacture. Heat generation 500oC to >1700oC. Ideal for power generation and advanced industrial thermal applications. Laminated construction, robust and durable. Focally accurate and structurally integrated. Adaptable to other CSP systems. Dispatchable and time-extended power generation. Superheated steam as energy transport medium. Salt storage requirement 1/3 of trough CSP. Key equipment sourced and tested. System is ready to implement for the first commercial project. Delivers local manufacturing and high local content opportunities.